PIGEON FORGE, Tenn. (June 2012) – Pigeon Forge’s newest attraction lets you get closer to some of your favorite movie and television stars than you ever imagined. 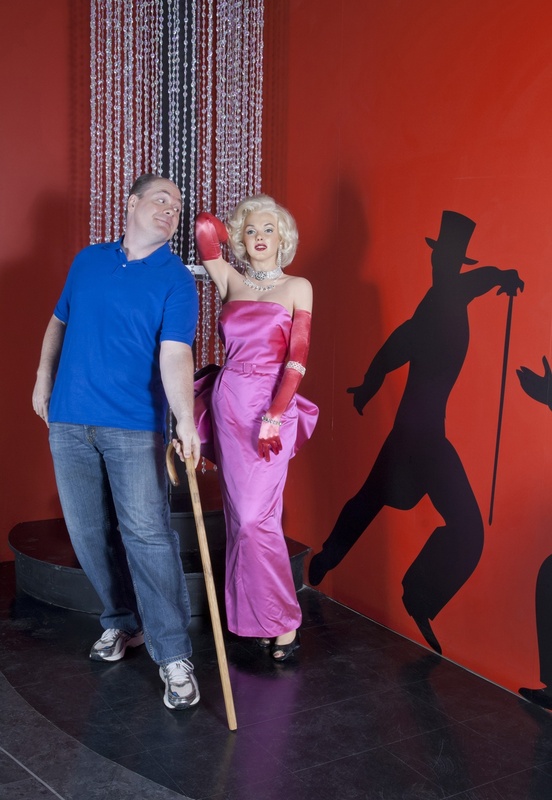 The stars at the Hollywood Wax Museum might not give you an autograph, but you can get amazing photos with many of them as you meander though the two-story, 22,000-square-foot attraction. The museum is on the Parkway at Showplace Boulevard and is impossible to miss. Its major architectural features include the Hollywood sign and the New York City skyline, a tribute to the movie-making capitals of the U.S.
Its crown gem is the Great Ape of Pigeon Forge with its VIP Observation Deck that allows guests to enjoy spectacular views of the Great Smoky Mountains. Additionally, the venue includes a 32-foot Hollywood version of Mt. Rushmore. A team of artists took three months to complete each celebrity wax figure, from sculpting the head out of clay to costuming. This link offers details of the process. You’ll find everyone from Clint Eastwood and John Wayne to Marilyn Monroe, George Clooney and Bradley Cooper. There are more than a hundred to inspect. The museum is a family-owned company now in its third generation. 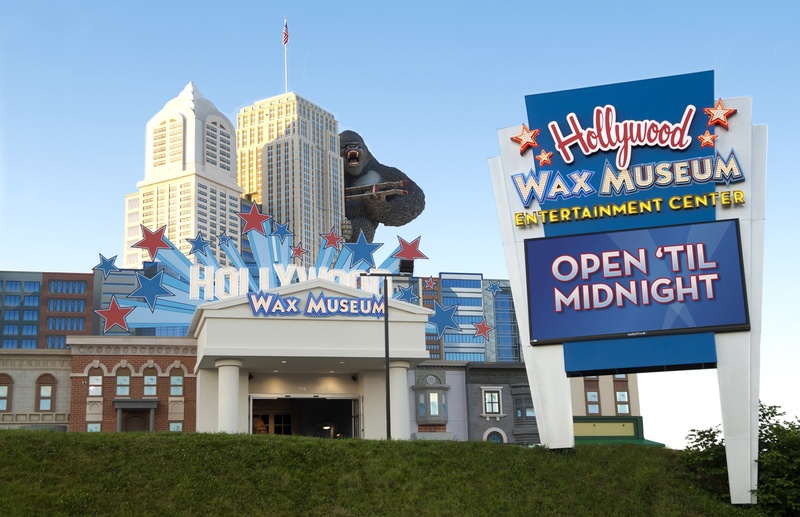 The family opened the original Hollywood Wax Museum in California in 1965 and also has a location in Branson, Mo. The Pigeon Forge museum is the largest of the three. Two other attractions complement Pigeon Forge’s Hollywood Wax Museum – Hannah’s Maze of Mirrors and Castle of Chaos. A “Pick 3” tickets covers all attractions at a discounted rate. Details are at this link.